Sharing and learning from like minded-organizations is invaluable in the technology arena. Learn what has brought tremendous success in other firms – and more importantly, what mistakes to avoid. The IT Directors Conference is your opportunity to gain insight and information to make your life easier and your firm operate seamlessly. If you are a PrimeGlobal member you must be logged in to read more about this event and register as soon as possible. We are currently working on the agenda for this event, more information will be posted as it becomes available, please check back. If you have any questions please contact Heidi Brundage or call +1 678-417-7730, ext. 306. Find out about last year's IT Directors Conference HERE. If you are a visitor please click here to find out more about our global events and contact Stacey Sanchez for more information. Follow the event on social media with #PGITDC. 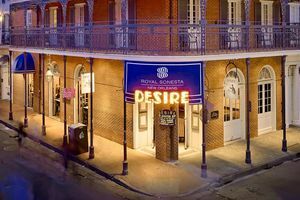 Whether this is your first time to New Orleans or you’re a seasoned visitor, the city’s infectious spirit is sure to invigorate, captivate and motivate you to jump in and explore the town. With so many options and many things to do, narrowing the playing field can be a challenge. Start by dividing how much time you have by what your priorities are – history, art, music, culture - and then add in a little time for the spontaneous joy that is the Crescent City’s calling card. Subtract a few hours for sleep, multiply your dining pleasure by at least three times a day, and you have the perfect equation for an amazing New Orleans experience.